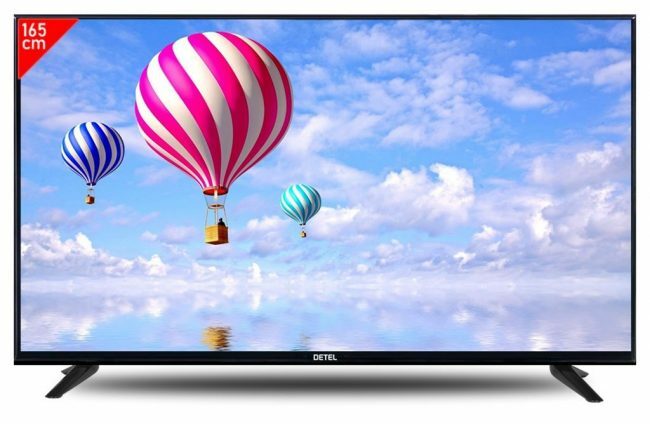 Detel known for economical feature phones, accessories and TVs, has launched range of Smart LED Televisions in the ongoing India Mobile Congress in New Delhi. Detel Smart LED TV’s come with display sizes of 40, 50, 55 and 65 inches and are priced Rs. 19999, 29999, 39999 and 69999, respectively. Detel is offering free Tower speaker with every purchase of their Smart LED TV’s during the 3 day event of IMC 2018. The company is also offering free Bluetooth speaker with their 32 inch Smart LED Television which was launched in the month of February this year. The 50-inch and 40-inch LED TVs come with full HD display and high resolution of 1920×1080 pixels each. On the other hand, the 55-inch and 65-inch LED TVs feature UHD display with a resolution of 3840×2160 pixels for sharper pictures. The 40-inch TV comes with 10W speaker whereas the other three TVs are equipped with 12W built-in powerful speakers for best audio control and a clear sound. These TVs come with 1GB RAM and 8GB of internal storage and run on Android Platform. For connectivity, these TVs provide options like Wi-Fi, Play store app, HDMI inputs and 2 USB ports each.